Can an Employer Require Me to Use My Own Computer? There are benefits to bring-your-own-device (BYOD) computer policies at work. For example, BYOD policies allow you to use your personal computer, which you might be more familiar with than a new work computer. Many people like the seamlessness of doing both work and personal activities on the same computer. On the other hand, BYOD policies can lead to problems. For example, you may not want to be lugging your laptop back and forth to the office, or you might prefer to keep your personal data separate from your professional work. You also might not own a computer, which leads to questions about whether or not you will have to pay for one yourself. Read below for more detailed information about BYOD policies, including what employers are (and are not) allowed to ask you to do. Employers might ask you to use your laptop or personal computer at work. These policies can save companies time, money, and resources since they don’t have to provide or support workplace computers. Employees also find these policies beneficial. They often like the convenience of using their personal laptops. Many employees work from home at least part of the time and prefer to carry their computers to work to continue tasks started at home. They also often prefer to use the technology they are already familiar with. Also, almost everyone wants to stay connected while at work, and having your own computer (and other devices) with you makes it easier to do that. There are some potential drawbacks to a BYOD policy, for both employees and employers. For example, some employees might not want to ug their computer or laptop to and from home every day. Others might want to keep their work and personal lives separate. Using the same computer for both tasks makes that hard. Similarly, employees might have concerns about privacy. If the employer wants access to the information on their personal computers, they might worry that the employer will be able to access their financial, health, or other personal records. Employers also have potential concerns about BYOD policies. For example, when employees use personal computers, there is an increased security risk. If an employee loses his or her laptop or does not protect a laptop, the company could lose or disclose important information. An employer can require you to use your own computer at work, and offer you no compensation, though for a variety of reasons it is difficult to find an organization with this kind of strict policy. For example, if you are covered by a union or personal employment contract, you may have protections from these types of requirements or be guaranteed compensation if you use personal equipment on the job. Some states also have laws about what employers can and cannot ask employees to pay for. For example, California requires employers to cover many of their employees’ business expenses, including providing reasonable compensation for personal devices used at work. Most employer BYOD policies try to solve some of these potential problems. For example, most employers suggest employees use their personal computers, but also offer alternatives. For example, they might provide laptops and other devices if an employee does not want to bring his or her own. The offer of a work-provided laptop is a common job benefit. Some companies may provide a technology fund or allowance that you can use to help purchase a computer or other devices to use for work. For example, a company could provide a $1000 allowance per year for employee personal equipment purchases. It is another common job perk. Some companies have a policy that states that if you leave the company within a certain amount of time after being reimbursed (90 days, for example) the amount you were reimbursed will be deducted from your final paycheck. If you’re not sure about the rules for using outside technology or whether you are provided an allowance to purchase equipment, check with your manager or Human Resources department. BYOD policies typically include not only laptops and personal computers but also tablets and smartphones. Many of the policies explained above work the same for these other devices. For example, you will often be compensated if you are asked to use a personal device. 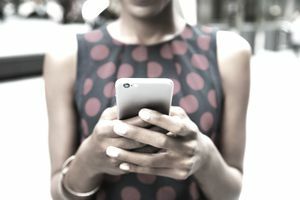 If, for instance, you are asked to use your personal smartphone for work, the employer might offer to pay a reasonable percentage of your phone bill.